Natural aging, stress, sunlight and environmental damage cause changes in the collagen and elastin that lie beneath your skin and support it. Both collagen and elastin give skin its firmness and elasticity. With the loss of both tissues, the skin begins to sag, and wrinkles begin to appear. However with the latest techniques in skin care and plastic surgery you can treat wrinkles and reduce the effect of aging. 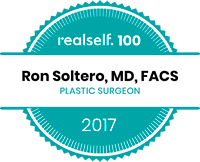 You can look younger and more attractive by working with Dr. Soltero to choose a facial rejuvenation treatment that is right for you. All the non-surgical treatments listed below are designed to improve the appearance of your skin. Result last about 4 to 6 months. Dr. Ron Soltero is a proud member of Brilliant Distinctions, the Botox Premier Patient Rewards Program that lets you accumulate points with Dr. Soltero, and save on future Botox treatments. 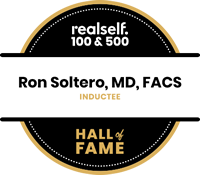 Join today and choose Dr. Ron Soltero as your provider. Botox Cosmetic targets one of the underlying causes of frown lines and crow’s feet- the repeated muscle contractions from frowning and squinting over the years. 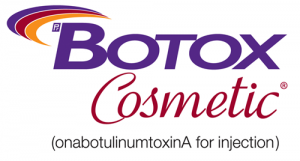 Botox Cosmetic temporarily reduces muscle activity. The average is 4 months, with some going as long as 5 months. Is hyaluronic acid dermal filler. Unlike Botox, it provides a filler to the skin as opposed to paralysis of the facial muscles. With Juvéderm, fine lines and wrinkles can be erased. That improves the corners of your mouth and can restore a more youthful appearance to the lip area and the entire face. Dr. Ron Soltero is a proud member of Brilliant Distinctions, the Juvéderm and Botox Premier Patient Rewards Program that lets you accumulate points with Dr. Soltero, and save on future Botox and Juvéderm treatments. Juvéderm treats facial lines and wrinkles. It can also be used to plump lips. This provides a more youthful look, and can make a patient feel years younger. Laugh lines, creases, and other types of wrinkles can all be erased or minimized with Juvéderm. Who Benefits from Juvéderm Treatment? Everyone can benefit from Juvéderm. As people age, they begin to lose some of the elasticity from their skin. That contributes to wrinkles, lines, and lips that are not as full and youthful looking as they used to be. By using Juvéderm, our patients receive the benefit of younger looking skin, and the boost of self-esteem that comes with it. Men and Women over the age of 18 can use Juvéderm, but not everyone is a good candidate. Our consultants can help you decide if Juvéderm is right for you. Generally, the product lasts 3-9 months with the lower face (lips) lasting the shortest period of time and upper face (under eye) lasting about 9 months. In general Juvéderm lasts 6-9 months. Juvéderm Voluma XC is a great filler to strategically add volume to change facial shape. It is often used in the cheeks and midface. Volumizing the midface restores a more youthful facial shape, making it more angular rather than rectangular, and the process of filling the skin envelope can lift, frequently softening the nasolabial folds. What Can Juvéderm Voluma XC Treat? Juvéderm Voluma XC restores check or mid face volume loss and also helps restore a more youthful curve and position to the higher area of cheekbones in women (not men). Who Benefits From Juvéderm Voluma XC Tratment? While we do not want to treat with fillers before they are really needed, the experience in Europe, Canada and elsewhere suggests that a relatively small amount of Juvéderm Voluma XC can produce a very soft, natural look in younger patients who are showing early signs of aging or who have a tired look. Its actual FDA approval is for use over age 21 and over. Juvéderm Voluma XC is excellent for all skin types. People with darker skin of color usually do not wrinkle as much as lighter skin tones, but everyone experiences age-related volume loss in their cheeks. Men can be treated, however the technique is somewhat different especially for cheeks because what is optimal to create a younger male appearance differs from that needed for females. How long does Juvéderm Voluma XC Treatment last? Most dermal fillers last from nine months to a year. Juvéderm Voluma XC’s special formulation gives it increased longevity. With optimal treatment, the results can last from 18 months up to two years. What is the recovery time for Juvéderm Voluma XC? Juvéderm Voluma XC is a unique filler that is long lasting and robust enough to achieve a cheek lift. When injecting Juvéderm Voluma XC in the cheeks, the injection is done above the bone. Because of where Juvéderm Voluma XC is injected, the cheeks can be sore and feel hard to the touch. This usually lasts a week after the injection. Unevenness between one side of the face and the other early after the injection is normal. Swelling might be different between both sides of the face. In a few weeks Juvéderm Voluma XC should settle into the cheeks and feel just like a part of you.